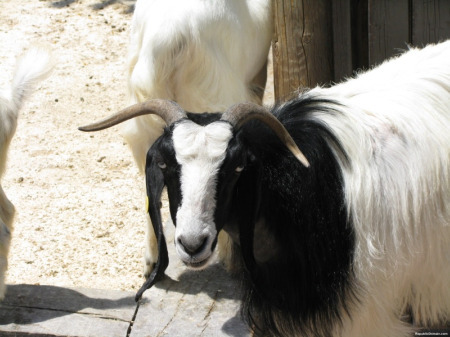 Cashmere goats come from the following countries: New Zealand, Pakistan, Iran, Australia and Afghanistan. But the finest cashmere come from Mongolia and it's goats. 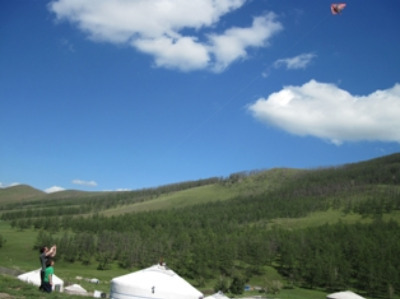 Mongolia experiences harsh winters which can drop to minus fifty Celsius. This causes goats to grow naturally soft and fine fiber. Goats really need their fleece to stay warm. 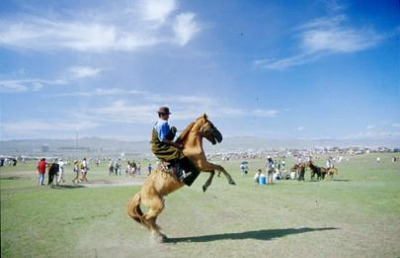 As I mentioned the finest cashmere is produced in Mongolia. Every spring an army of herders gets out their combs and patiently start combing wool of the goats. The goats love it! I visited local herders in Mongolia when they were hand combing cashmere in the spring. They choose spring because after a long harsh winter this is the time that the goats start to naturally shed their hair. Next the Mongolian herders transport their raw cashmere to Ulaanbaatar, the capital of Mongolia, in the back of large trucks. They sell them to local cashmere factories and workshops such as Goyo and Gobi for 8000 tugric (that's about $9.87) per kilogram. This is 2008 rate. Return from here to What is Cashmere? Do you have a great story or tips? I can't wait to read your story or tip. Thank you in advance for sharing. This is an ongoing contest so your name will continue to be entered in these drawings month after month. You get 1 entry automatically, but we'll judge the submission for quality/experience/how detailed it is and will award either 1-2 additional entries for REALLY good submissions at around 250 words. If you submit a picture related to this topic, you will automatically get 2 additional entries.